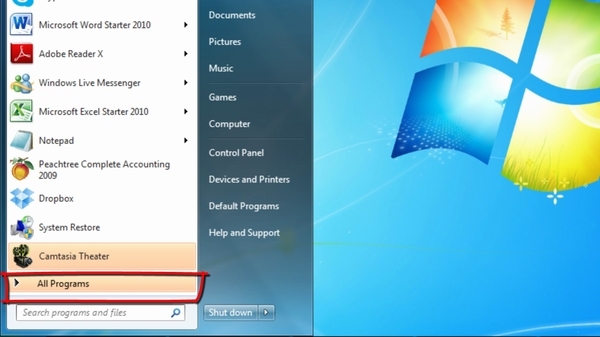 « How to Restore Deleted Files? 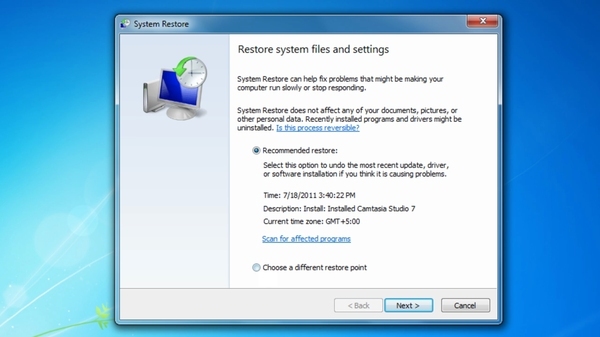 Now go to the “Accessories” Directory, select the “System Tools” folder and click on “System Restore”. A new window would open. You can choose the “Recommended Settings” or customize your options by opting for the “Choose a different restore point” option. Whatever option you choose, just simply click on the Next button. Now you would be displayed with the time frame or the restore point to which your PC would be restored to. In case you chose the “Recommended Settings” you would be displayed with only one restore point. 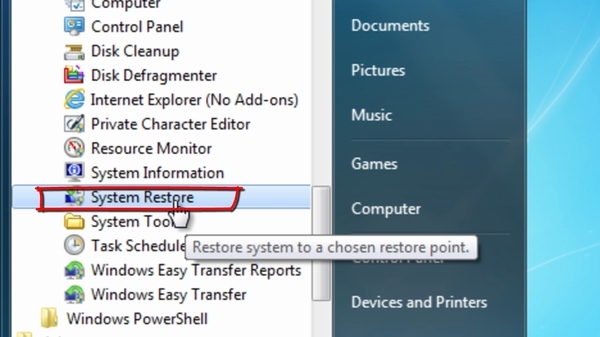 If you chose to customize your options you would be displayed with more then one restore points. Once done, simply click on the “Finish” button and your PC shall be restored.